Subject: Litmus Live 2017 tickets on sale now! Get your ticket to Boston, London, or San Francisco (or all three!) now&mdash;limited number of &ldquo;early bird&rdquo; discounted tickets available. <!--Grab a ticket to Litmus Live and get ready to experience #emailgeek heaven! Each Litmus Live location has a limited number of &ldquo;early bird&rdquo; discounted tickets&mdash;buy your ticket now to get the best pricing. Group discounts are available on three or more tickets&mdash;email us at <a href="mailto:conference@litmus.com?Subject=Litmus%20Live%20tickets%20question" style="font-family:'proxima_nova_rgregular', Proxima Nova, Helvetica, Arial, sans-serif;color:#0088cc;text-decoration:underline;color: #b9cef0;" class="link">conference@litmus.com</a> for more details. 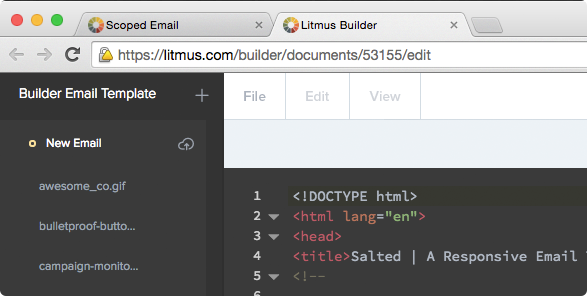 You&rsquo;re receiving this email because you&rsquo;ve signed up to receive event updates from Litmus. If you&rsquo;d prefer not to receive updates, you can <a href="http://pages.litmus.com/emailPreference/31032/797a01a201116d37d1fa6bad6a960fe5/377883665" style="font-family:'proxima_nova_rgregular', Proxima Nova, Helvetica, Arial, sans-serif;color:#b3c4dc;text-decoration:underline;">manage your preferences</a> or <a href="http://pages.litmus.com/unsubscribe/u/31032/797a01a201116d37d1fa6bad6a960fe5/377883665" style="font-family:'proxima_nova_rgregular', Proxima Nova, Helvetica, Arial, sans-serif;color:#b3c4dc;text-decoration:underline;">unsubscribe from all</a>.